The Milan Design Week, also known as Fuorisalone, is an event devoted to the world of design that takes place every year during a whole week in Milan in parallel with the Furniture Fair. During this period, several areas of the historic center of the city (Centro, Zona Tortona, Ventura Lambrate, Fabbrica del vapore, Brera, Porta Romana and Porta Garibaldi and Corso Como) are occupied by design firms, architects and designers. 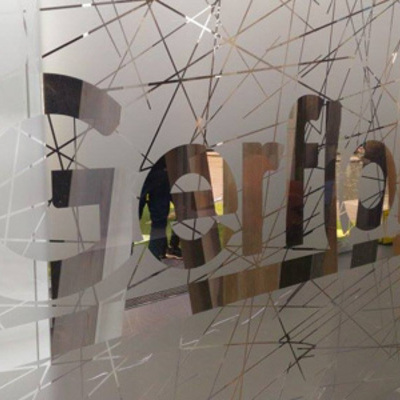 Gerflor was present with a booth at the "Materials Village" - as part of the SuperStudio (in the SuperDesignShow zone). Our visitors : architects, designers and professionals, could feel a new sense of flooring on our booth! * Our LVT forest was created thanks to our LVT ranges of floorcoverings: Creation. In 2000 Superstudio decided to open its spaces to architects, designers and furniture companies during the April Design Week held in the Rho Fair and thanks to its intuition, the entire area later became the great center of the contemporary Tortona Design Week. Superstudio Group participates with an ambitious project: the “Superdesign Show”, added to the already known “Temporary Museum for New Design”, distinguished by the original “less fair and more museum” format, set on 10.000 square meters, displaying through impressive presentations and installations the best proposals within the international design panorama. Moreover, other exhibitions, presentations and initiatives take place all year round.